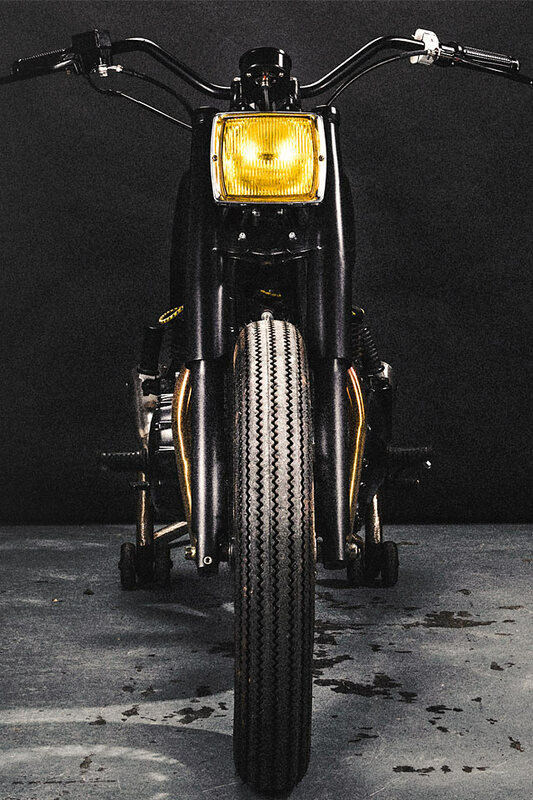 I’ve been obsessed with custom motorcycles for the last fourteen years. 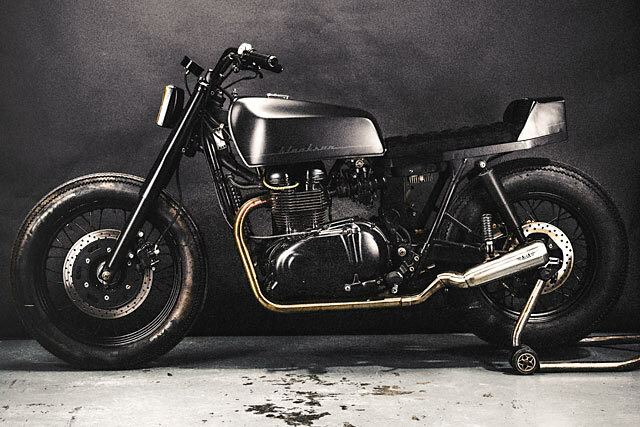 And no small amount of that infatuation has been directed towards variants of the Triumph Bonneville. I’ve got an entire folder on my home computer dedicated to the model. Thousands of photos of the Bonnie modified in every way you can imagine. 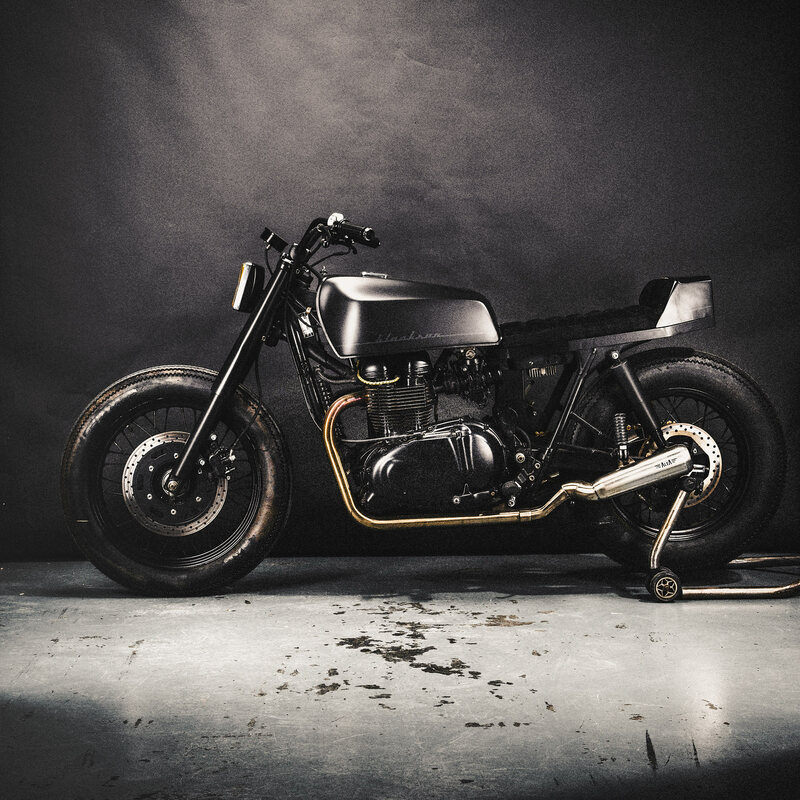 But none are anything like this, a stripped back, blacked-out 2002 Bonneville created by Italy’s Alea Motorcycles dubbed ‘Blacksun’. 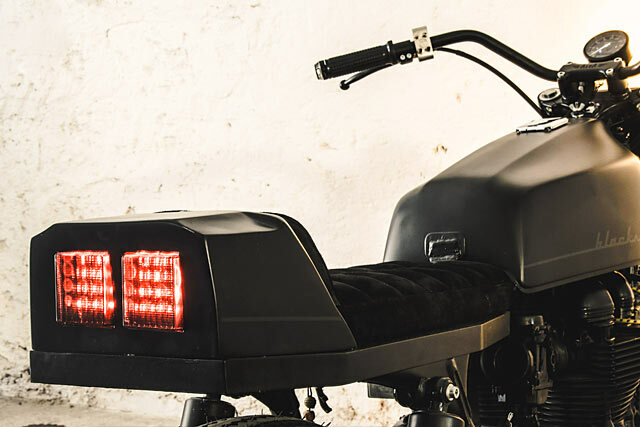 Alea Motorcycles have produced some wild customs in the last two-and-a-bit years they’ve been operating. But soon they’re going to change up a gear. They’re launching a new motorcycle death star – 300 square meters of workshop that will also house a bar and a library. Sounds good, but thankfully bikes will remain their primary focus. 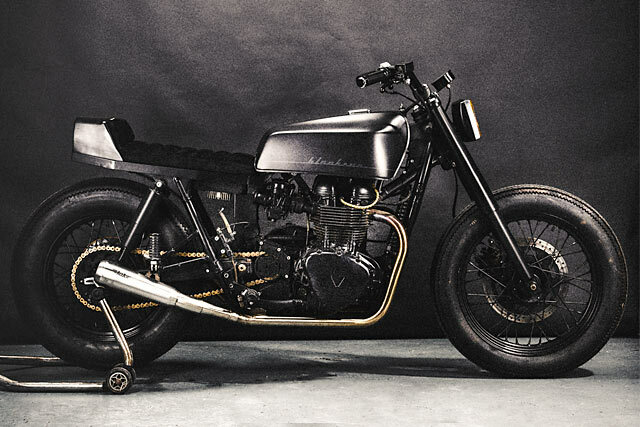 Bikes that embody their motto of ‘Not Ordinary Motorcycles’. And the Blacksun shouts that slogan from the rooftops. 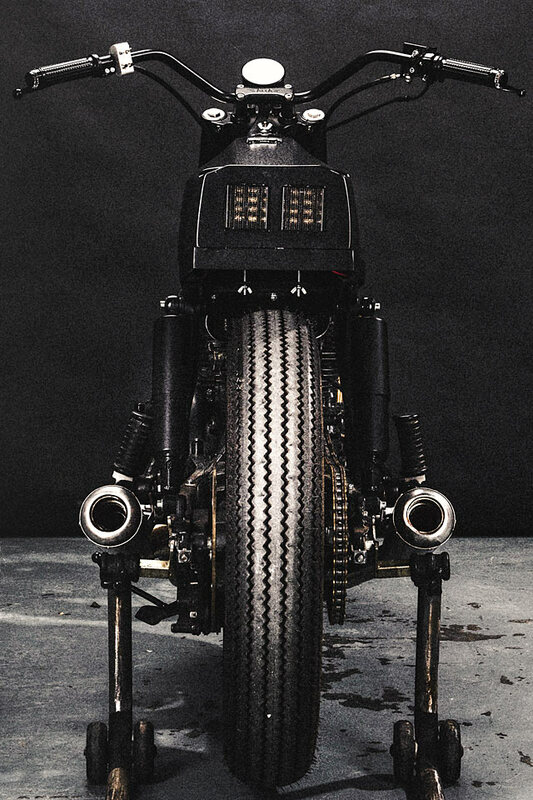 The goal with the Blacksun Bonnie was to produce something distinctly different, a mix of styles coming together to create what the Alea team describe as a ‘post atomic’ motorcycle. A very clean post-atomic motorcycle. Hell, if this is what we’ll be kicking around on in the ashes of humanity I’d say we go ahead and drop the bomb right now. 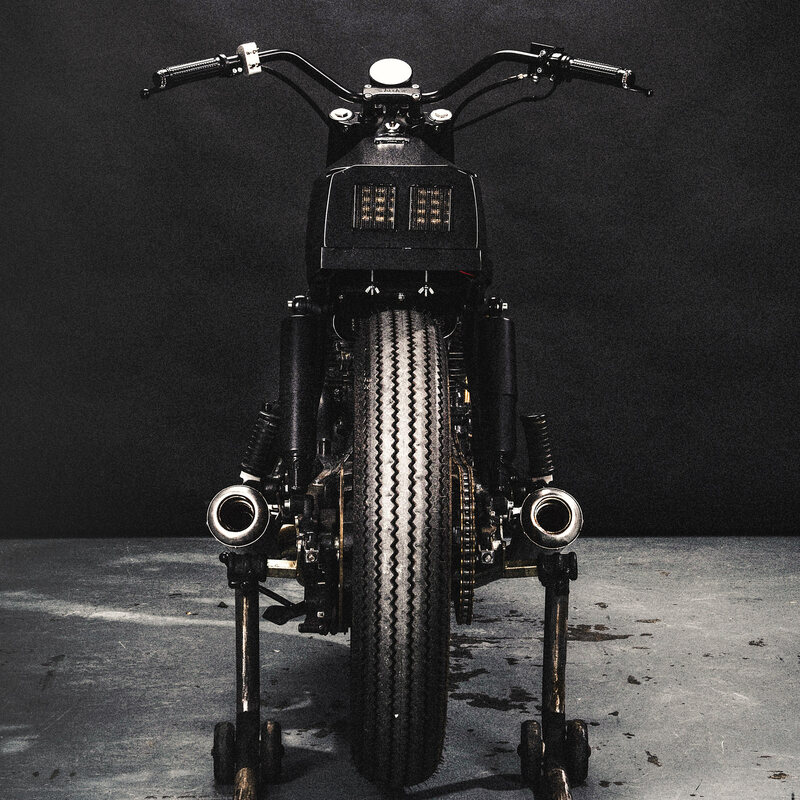 They dubbed the bike ‘Blacksun’. The first half of the name is obvious, given the paint scheme. The ‘Sun’ part of the moniker refers to the yellow-tinted headlight, which reminded the builders of their own Southern Italian sky. And that headlight is where it all started. 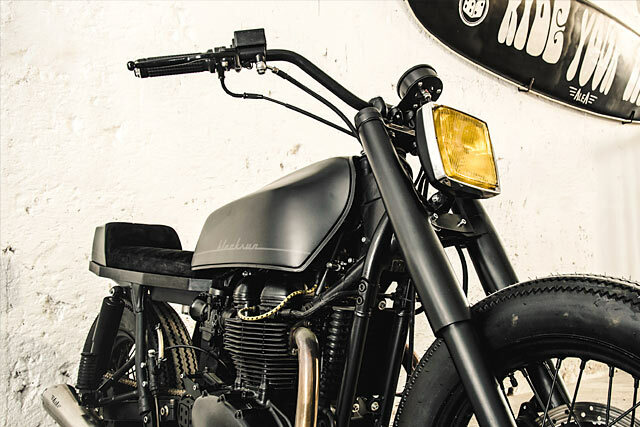 The entire build was kicked off when the duo who front Alea Motorcycles, Gianmarco and Gianni (known as Zingaro and Noisy respectively), came across the vintage light housing in their workshop. 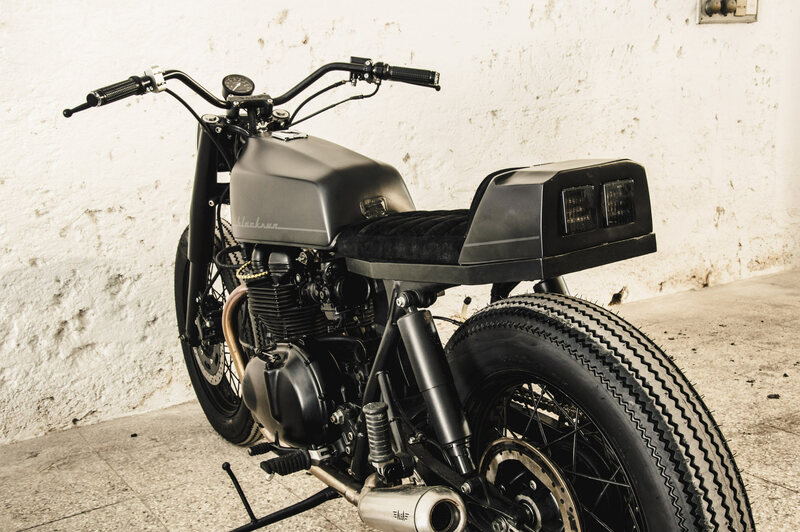 The sharp angles of the headlight surround would dictate the rest of the build – a hard, angular-looking Bonneville. No easy task when given the conservative lines of their starting point. 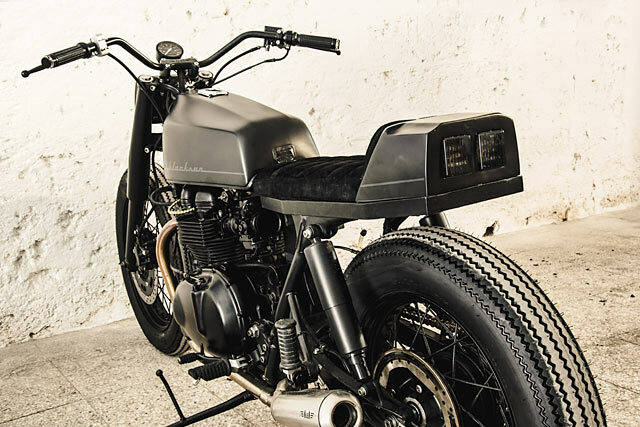 To kick things off, they detabbed and shortened the frame before mounting an old Kawasaki Z fuel tank. The harsher corners than the standard model instantly had it more in line with their goal. Behind that the team mounted a fibreglass seat unit procured from Japan and had it outfitted with a suede seat completed by a team of local artisans. It’s two major changes, but it still blows me away how easily a seat and tank swap can go towards changing a bike. 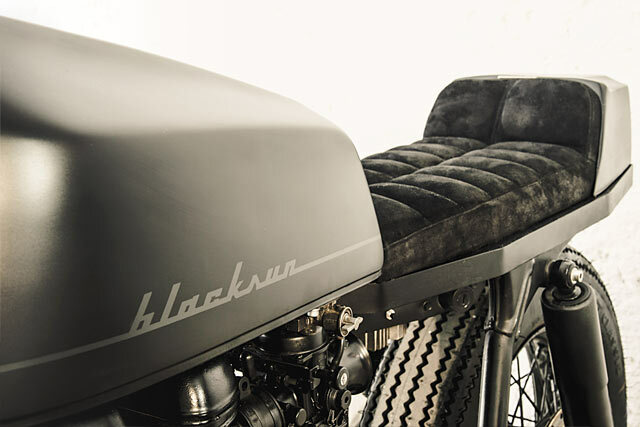 But it’s not just the big features that make the Blacksun so different. The team did an excellent job of removing all the standard clutter from the Bonneville. Starting with a carb’d model made things a little easier, but it’s still no simple task getting a bike looking this clean. First to be altered was the airbox covers and standard wiring. A housing was made for beneath the seat that holds a lithium battery, stripped-back electrical harness and a starter button. Aside from the airbox area, much of the visual weight reduction comes from the front end of the bike. 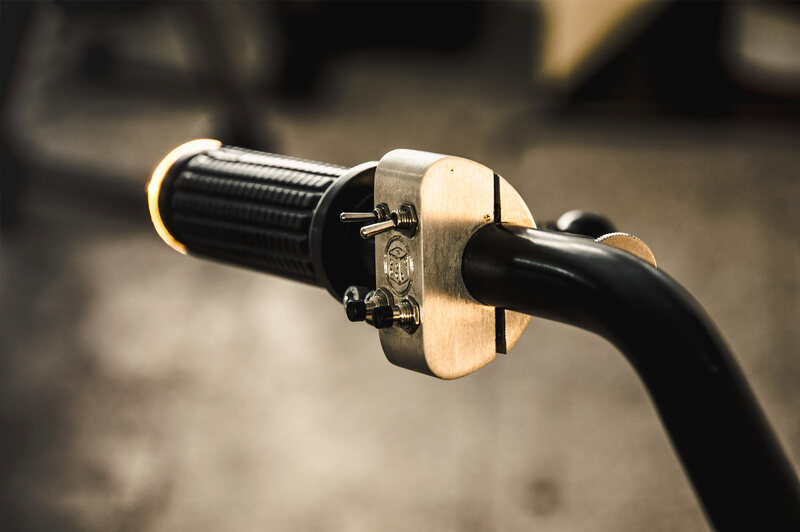 Alea Motorcycles made an aluminum switch block to ensure there’s no superfluous wires hanging around the bars and headlight. Keeping the bike in the vague direction of street legal are a pair of Motogadget blaze bar end lights. 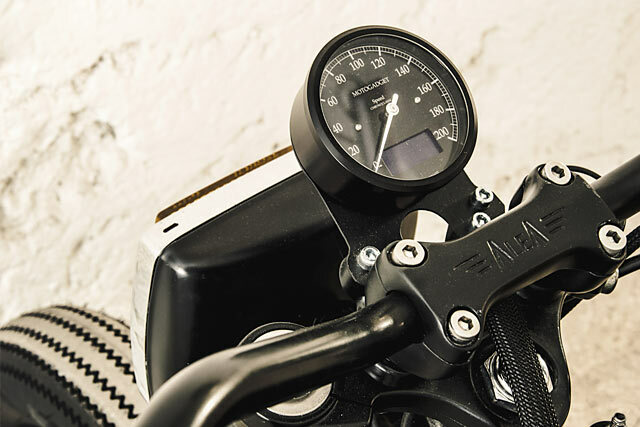 Completing the Motogadget treatment is a tidy low-profile Chronoclassic speedo. And god-damn does it look good. Zingaro and Noisy state that the hardest part of the build was giving continuity to the hard lines. And they’ve done a stellar job. To turn a Triumph Bonneville, which is a rounded, traditional motorcycle into something as hard-edged and geometric as the Blacksun is a stroke of genius which required a careful eye and wild imagination. Both of which Alea have in spades. 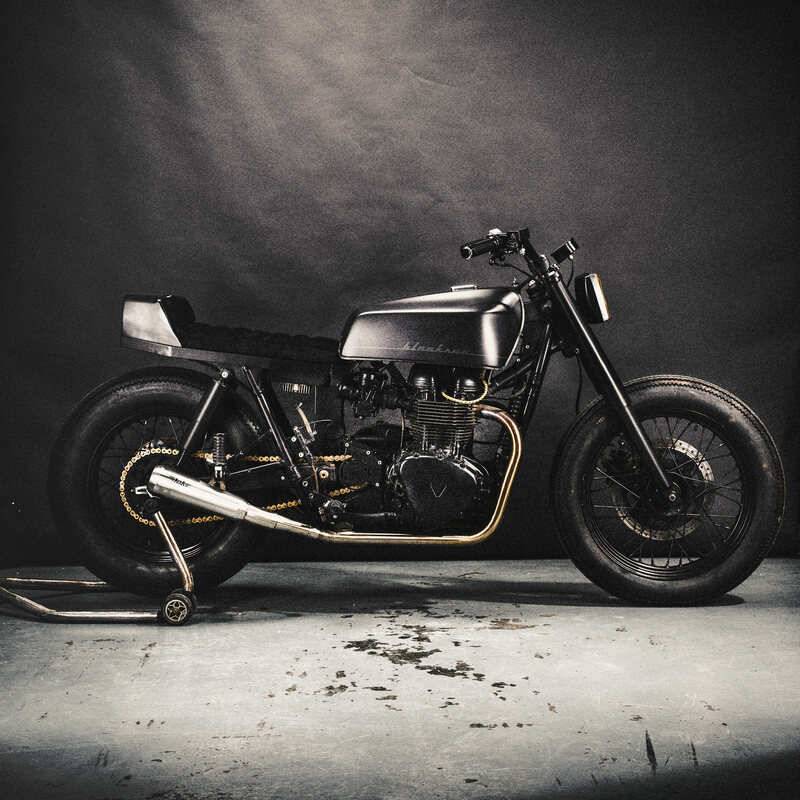 Alea Motorcycles have proven that no matter how many custom bikes you’ve seen there’s always something new just around the corner. I thought the old Hinckley Bonneville had been thoroughly done by now, and nowhere in my own personal slightly NSFW collection of Bonneville pics is there anything like the Blacksun.